I’ll keep it short and sweet. This is a damn good bloody mary. 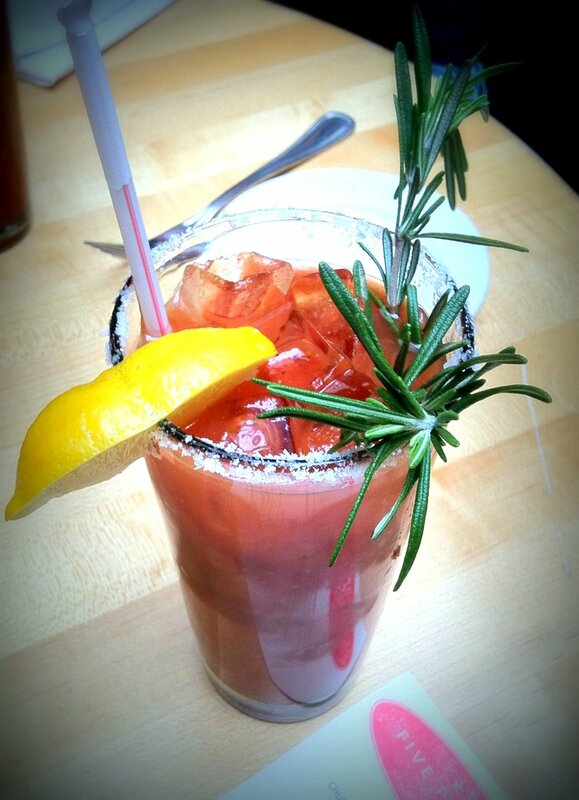 I went with the rosemary bloody, because I like to keep it classic. A rosemary twist, lots of pepper and a good amount of heat. I couldn’t ask for much more. Except maybe a pitcher full. Yes, I said a pitcher. At Five Points, feel free to indulge in copious amounts of bloodys by ordering a pitcher of your favorite bloody twist. A boozy bargain for sure. And just as a side note, the good Assassin was able to capture the above pic of Five Points’ clam juice laden bloody, complete with freshly shucked oyster on top. An apt addition to the classic bloody caesar.